childrensministry.com- Thanksgiving object lesson that uses candy corn to teach how the Pilgrim's began placing 5 kernels of corn on their plates each Thanksgiving to remind them of God's provision. creativeyouthideas.com- The story of the ten lepers from Luke 17 is often used to teach Bible study lessons on being thankful. Ken Sapp from Creative Youth Ideas offers a fun Thanksgiving Bible object lesson for teens! 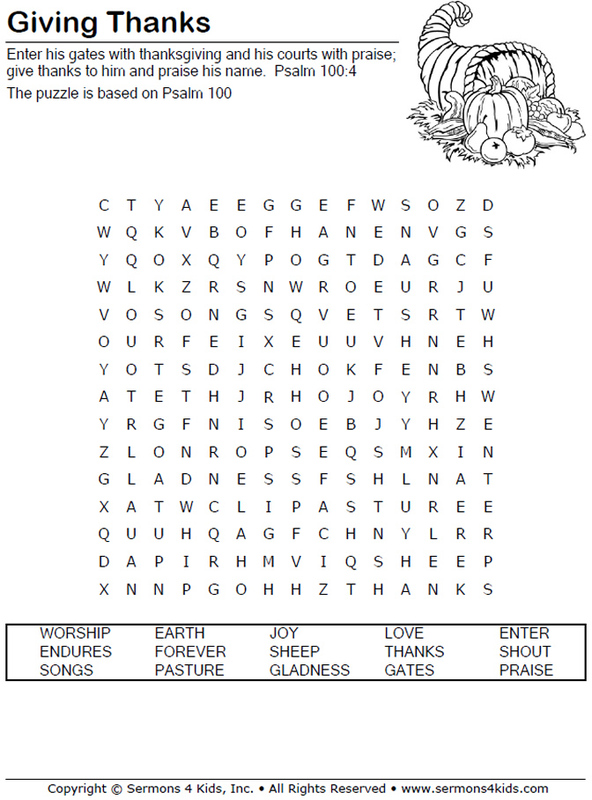 mintools.com- Lots of Thanksgiving ministry resources. Just click on the various tabs. Activities, coloring, lessons, plays, etc. If your kids love fortune cookies, they will love this idea that bakes the thankfulness right in. These make for a yummy treat on the dinner table and an excellent conversation starter, all rolled into one. The basic idea is that you spell out “Give Thanks” using things found in nature. This is a printable minibook called "Thank You God" and each page has something to remember to thank the Lord for. There are prewritten versions for children to read or Blank versions are available so that you can write in your own things to be thankful for, or in your own language. Pumpkin Pie Spinner- This pumpkin pie may look good enough to eat, but it's actually an interactive spinner that reveals things your child is thankful for. This is a memory game. Have the players seated in a circle. 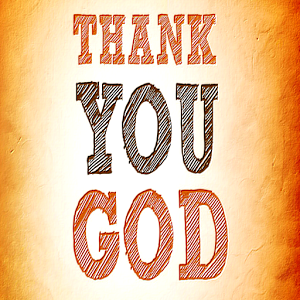 The first player begins by saying, "Thank you God for . . ." He can say anything he likes, for example an orange, a pair of shoes, a camel, or a pet dog. The next player in line begins the same way but adds a second object after repeating the first. The third player also begins, "Thank you God for . . ." He must repeat the first two objects and then add a third. So it goes on, but if a player can’t repeat or mixes up the order of the objects then he is out.